Simple in design, yet functional in use, this sturdy night stand is a must for every bedroom. Measures 24-1/8" high by 20-3/4" wide by 19" deep. This night stand matches the Chest of Drawers (H2400).Note: Due to their nature, plans are non-returnable. Defective plans will be replaced. 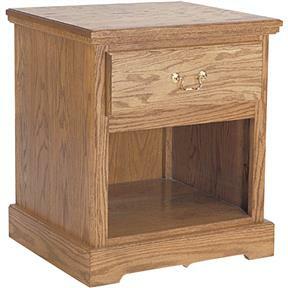 Simple in design, yet functional in use, this sturdy night stand is a must for every bedroom. Measures 24-1/8" high by 20-3/4" wide by 19" deep. This night stand matches the Chest of Drawers (H2400).